Finally, a toy you don’t have to worry about tripping over. 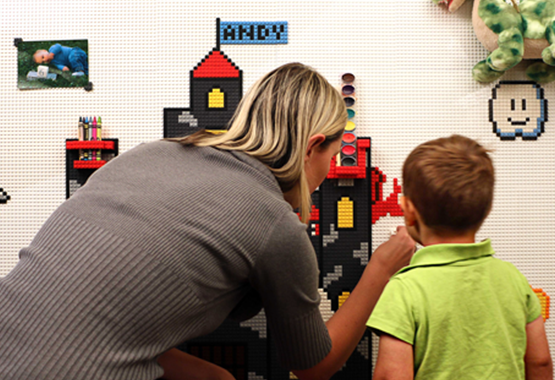 The patent-pending BRIK® removable adhesive system means creative wall art and projects without damage to your walls. Compatible with LEGO®, LEGO DUPLO® and most major brick building sets. This product is not associated or endorsed by LEGO®, LEGO® is a trademark of the LEGO Group® of companies. 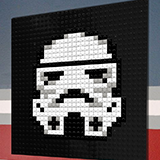 Each panel measures 10" x 10" and is compatible with LEGO® and other major building brick sets. 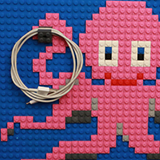 Build mosaics and 8-bit art with over 300 Pixel Briks (included). Browse BRIK's template gallery with over 6,000 unique designs. 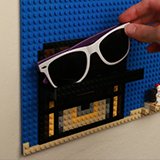 Use removable clips to hang art work, keys, organize cables and more. Includes 4 project ideas including mosaics, photo frames, alphabet letters are more. BUILD THE WALL IN SECONDS! Not just for the kids! You can't just get one for the kids, thinking you won't be all over this. When you realize how useful it is, e.g. dealing with your keys, a place to rest your cellphones for charging... this, coupled with a magnetic charging adapter for my devices, is awesome. Yes, the kids have fun with it too. These are awesome -- a huge focal point for young kids at my house. I have a 1.5 year old and a 3.5 year old. Because of the younger one's age, we can't have normal little legos. I was very excited to discover that duplos work on them too. Both kids (even the baby!) love it. Other kids gravitate to it too. I had to move them around a bit when we were doing some work on our house, and I can confirm that they do not damage the walls. 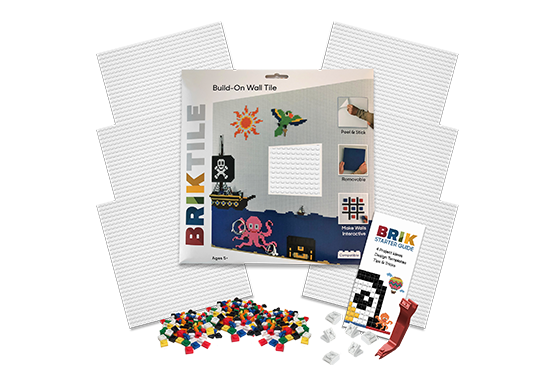 Shop with us today and inspire play with BRIK! Try BRIK out and if it doesn’t work for you, you’ll get your money back! There’s absolutely no-risk in giving it a try.